Hangcha Forklift is a world top 8 brand, we offer forklift for sale Dandenong.Hangch Group Co, Ltd is a major enterprise in the forklift manufacturing industry in China with over 60 years’ experience. HangCha Group is proud on its history and developments since it was founded in 1956. Hangcha Ranked Top 10 on the global list of material handling equipment manufactures in the world. Currently the sales network consists of more than 70 dealers cover more than 140 countries in Europe, Africa, Asia, Oceania and Latin America. Hangcha Group is also one of the top 500 large enterprise group in China. Utilizing our state-of-art R&D center, our provincial level technology center, efficient production support system and our strong marketing leading system, more 60 sales and service subsidiaries, 140 domestic dealers, and over 70 abroad agents, all these offers strong support to our customers. 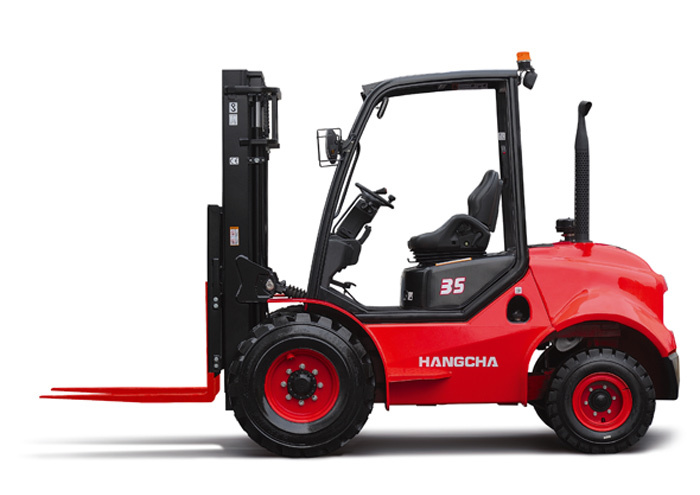 Hangcha Equipment Australia Pty, Ltd is the dealer in Victoria of Hangcha Group Co, Ltd.
We offer forklift sales, hire, mechanical servicing and finance. We have an excellent sale team and top technical support team. Hangcha Equipment Australia Pty.Ltd is located on 1/48 Greens Rd, Dendenong South, Victoria. We offer forklift for sale Dandenong, and supply a complete product range of material handling equipments, including from 1.0 – 48.0 T combustion forklift.1.0-8.5t electric forklift trucks, a full range of warehouse equipment from electric pallet trucks to reach trucks, Our professional team will provide comprehensive technical support and high quality maintenance services to you.